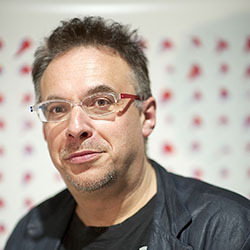 Kris Cohen visits Josh Kline: Freedom at the Portland Art Museum. “The first work in a projected five-work cycle,” Freedom imagines “a future that extends out from the present’s particular techno-economic landscapes.” The artist “takes the technologies and labor economies of neoliberalism not just as the context for his work but as the medium,” and the show is “far more esoteric than Kline admits.” Read the full review at caa.reviews. 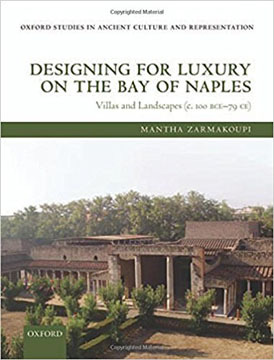 Elaine K. Gazda reads Designing for Luxury on the Bay of Naples: Villas and Landscapes (c. 100 BCE–79 CE) by Mantha Zarmakoupi. The author “argues that by appropriating selected elements of Hellenistic and Roman architecture designers created a new architectural language for Roman luxury villas.” The book’s “primary contribution” lies in its “analyses of the physical components of this language.” Read the full review at caa.reviews. 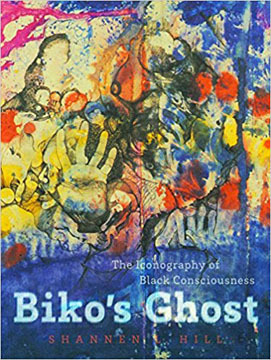 Jessica Stephenson reviews Shannen L. Hill’s Biko’s Ghost: The Iconography of Black Consciousness. The author “offers a convincing reconsideration of the contributions” that Black Consciousness and Stephen Biko’s “meaning and legacy” give “to a visual culture of liberation in South Africa.” Presenting “an impassioned redress,” she argues that this history has previously been marginalized and willfully misread. Read the full review at caa.reviews. CAA exists to serve its members and the wider community of arts and culture professionals. Many of our members are facing challenging fiscal dynamics in their own institutions. They have seen opportunities to attend professional conferences and discretionary departmental budgets decrease. Even more concerning is the lack of new professional opportunities for those entering the field as the number of full time and tenured positions continues to decline. We know how integral our staff is to serving our 9,000 individual and 600 institutional members. Recently, we took a closer look at our staffing at CAA in relation to changes in the higher education landscape, the visual arts field, and the ecosystem of associations. We discovered that in order to move forward as an organization CAA had to reduce its organizational footprint. Coming to this realization was difficult but we also knew we did not want to simply cut staff. With this reality in mind, last spring we worked to reduce the size of the CAA staff. Based on my recommendation, the Board of Directors adopted a 2018 budget that matched realistic revenue projections against actual expenses. We offered an Employee Exit Incentive Plan, a plan of choice, to all staff. Several people took the plan. We are saddened to see staff at CAA leave. Some have served the organization for many years and contributed to much of what makes CAA tick. But we also know they are headed for new adventures professionally and personally, and we are proud to offer them support and security as they embark. The departures at CAA gave us a rare opportunity to restructure the organization, to look at every department and assess its work and goals. It also gave us the chance to hire for a few new mission-driven positions. Programming is important to CAA and its members, and as part of the new structure we expanded programs and placed publications, one of our flagship programs, in that department. The publications department will not change fundamentally and will continue to produce exemplar issues of Art Journal and The Art Bulletin, as well as outstanding digital content in Art Journal Open and caa.reviews. Tiffany Dugan has been named the director of programs and publications to lead the new department. Communications and marketing will also grow as a department as it joins forces with membership services, a pairing that will bring more clarity to how we communicate with our members and how we will look to build our membership in the coming years. The newly formed communications, marketing, and membership department will be led by Nick Obourn. Lastly, our finance department will take the IT department under its wing, forming what will be the center of operations for CAA. Teresa Lopez will lead that department. We know this is a lot to digest, but we felt it necessary to explain things in full. Restructuring CAA was difficult for us as an organization, but it was a decision we had to make to gain stability and ensure that we exist to serve our members and professionals in the visual arts for another 106 years. These changes will not result in any reduction of services or support to our members and the visual arts field at large. In the coming weeks we will also announce exciting new offerings for our members at CAA. Stay tuned! We look forward to seeing you in Los Angeles, February 21–24, 2018 for the 106th Annual Conference. Please reach out to us at 212-691-1051 or nyoffice@collegeart.org if you have any questions at all. On Graduate Education: Is it Worth it? Edith Wolfe visits Adam Pendleton: Becoming Imperceptible at the Contemporary Art Center in New Orleans. The exhibition is “charged with a political urgency at odds with the artist’s restrained forms,” yet “the triumph—and challenge—of Pendleton’s language-based enquiries reside in their capacity to interrogate system and process as provocatively as they explore the African American experience.” Read the full review at caa.reviews. 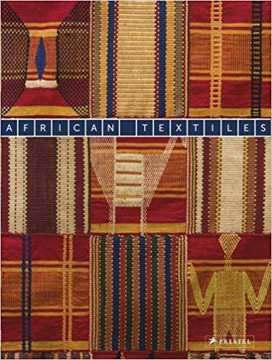 Erin M. Rice reviews African Textiles: The Karun Thakar Collection with contributions by Duncan Clarke and Miriam Ali-de-Unzaga. While “the text itself does not provide the groundbreaking research the authors call for, it does highlight parts of a collection with great potential for future in-depth, object-based research,” and “the book is superbly illustrated with quality, color photographs.” Read the full review at caa.reviews. Elisa A. 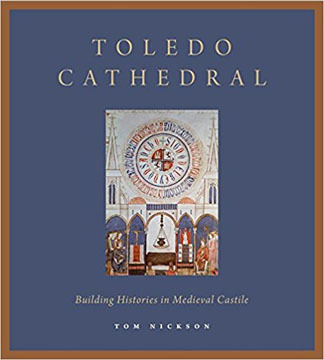 Foster reads Toledo Cathedral: Building Histories in Medieval Castile by Tom Nickson. The author “endeavors to untangle the complicated and often tacitly accepted ‘building history’ of the cathedral’s construction.” “A wonderfully interdisciplinary study,” the “impressive” volume “is a significant contribution to recent scholarship on medieval Spain as well as Gothic architecture more broadly.” Read the full review at caa.reviews. 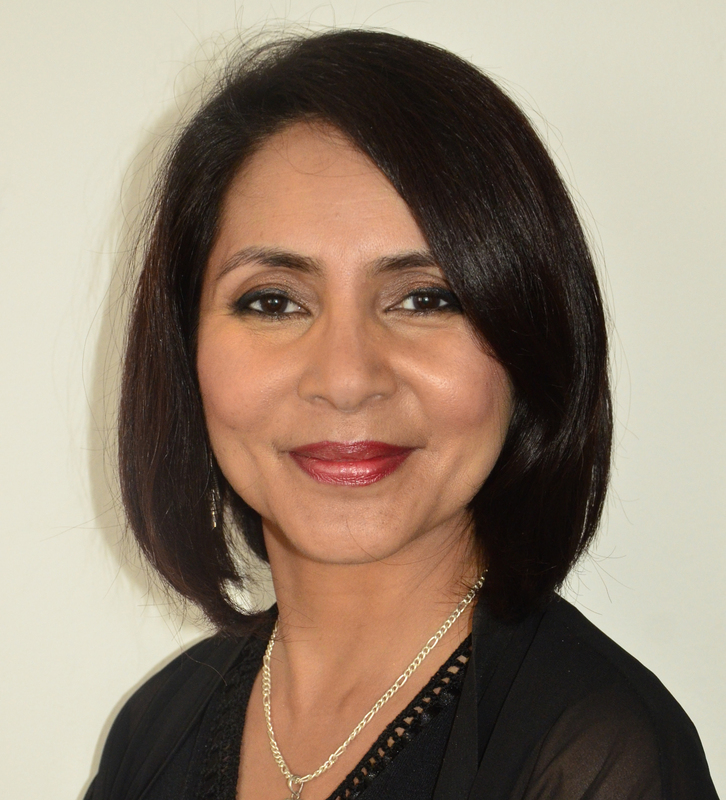 Tirza True Latimer discusses the reopening of the San Francisco Museum of Modern Art. Although the architecture, which “more than doubles” the galleries, offers “the tacit promises of disruption,” “the artworks exhibited in SFMOMA’s inaugural year are predominately canonical.” Only “time will tell what stories can be told and how the holdings can be differently expanded, displayed, and contextualized.” Read the full review at caa.reviews. 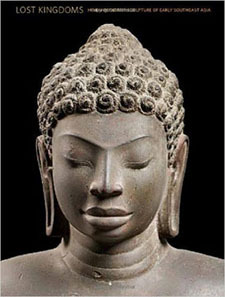 Emma Natalya Stein reviews the exhibition catalogue Lost Kingdoms: Hindu-Buddhist Sculpture of Early Southeast Asia, published by the Metropolitan Museum of Art. Representing “a watershed moment in the historiography of Southeast Asia, especially in terms of its relationship with India,” the “well-researched and beautifully illustrated catalogue” showcases “a truly remarkable body of material.” Read the full review at caa.reviews. Grant Klarich Johnson visits Don’t Look Back: The 1990s at MOCA at the Museum of Contemporary Art, Los Angeles. As the museum’s “legacy still takes shape,” the exhibition “focused on a decade with particular relevance to contemporary art in Los Angeles” and “narrated a version of the institution’s past that wove local triumphs into the global geography of art at the close of the last century.” Read the full review at caa.reviews. 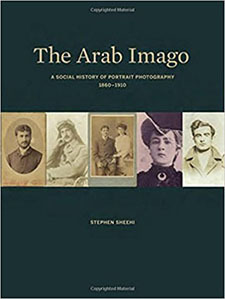 Carmen Pérez González reads The Arab Imago: A Social History of Portrait Photography, 1860–1910 by Stephen Sheehi. The author aims “to ‘provincialize’ the history and ‘nature’ of photography,” and the “groundbreaking” volume “is an ambitious and theoretically challenging study, a significant and original work of social analysis of mostly unknown photographic material from the 1860s onwards.” Read the full review at caa.reviews.